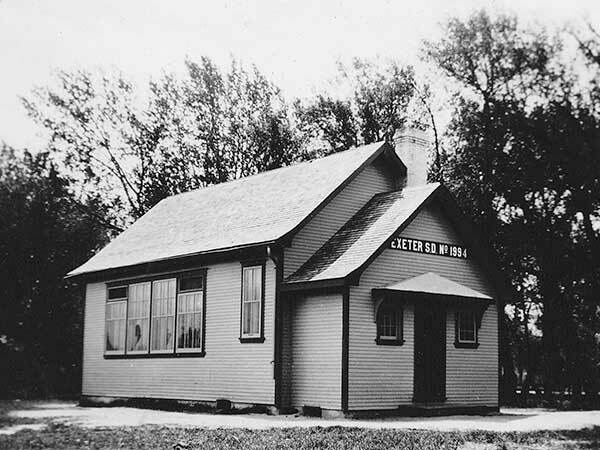 The Exeter School District was established in February 1920 and a one-room schoolhouse was built about one-half mile northwest of the village of Neuhorst (NW1-1-3W) in the Rural Municipality of Rhineland. In 1927, the building was moved into Neuhorst to the site of a former private school that had operated in the community. 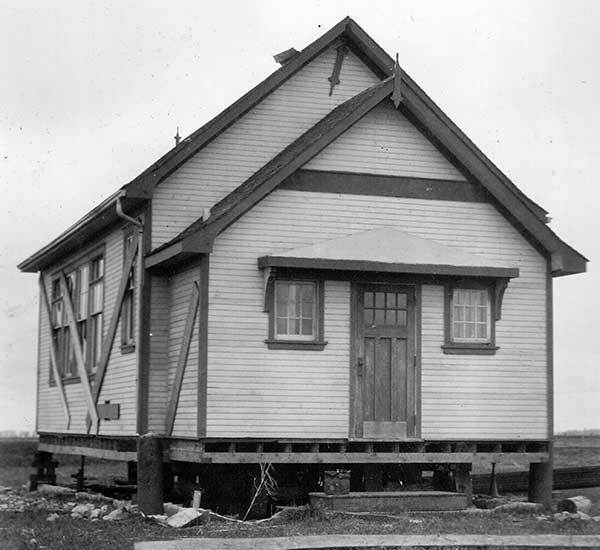 During periods of high student enrollment, the public and private buildings were both used as classrooms. In 1958, the district was consolidated with Kronsthal School District No. 2133 to form the Kronsthal Consolidated School District No. 1994. 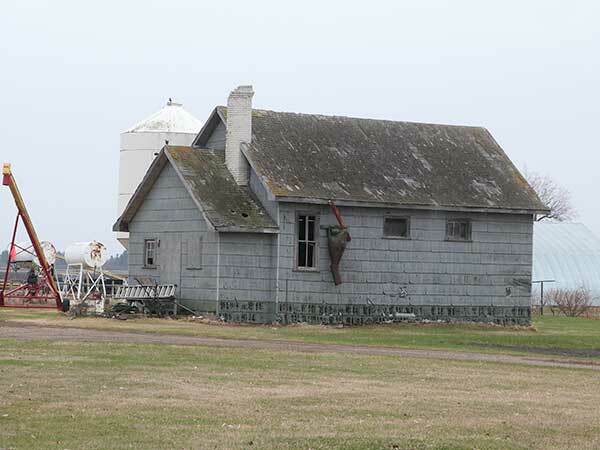 The former public school building was used for a time as a granary and, as of 2014, is still standing at the site along with the teacherage, which serves as a private residence. GR8461, A0233, C131-3, page 74. 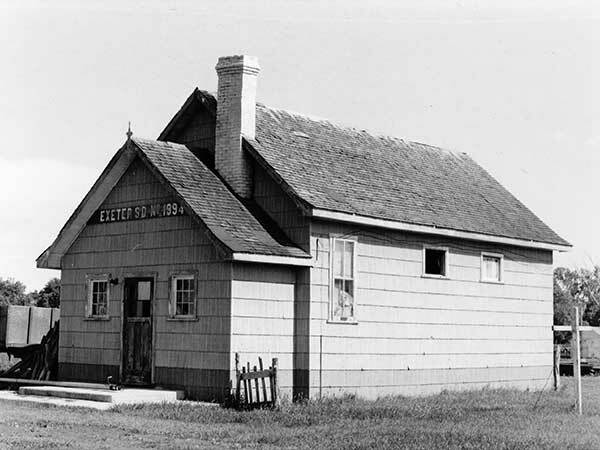 Source: Archives of Manitoba, Architectural Survey - Neuhorst 3. Altona East topographic map, 62H/4 East, Edition 1 ASE, Series A743 [UFS Reference Collection]. 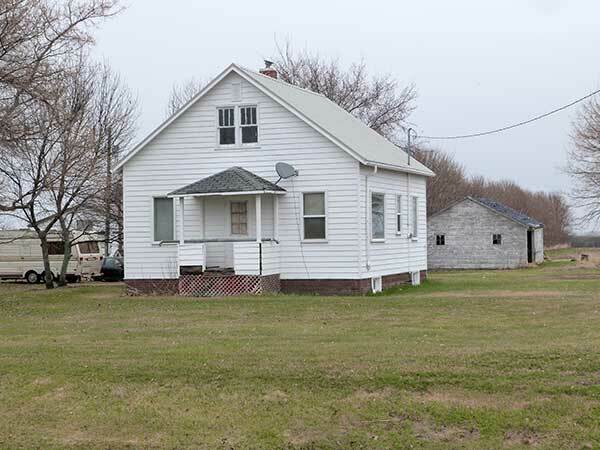 We thank Al Schmidt (Altona and District Heritage Research Centre) and Frank Kehler for providing additional information used here.